Driving a luxury vehicle through Newtown Square or Wayne, PA means having a vehicle that you’re proud of. The best way to properly care for this vehicle is to ensure you have a maintenance plan that delivers incredible peace of mind. The Jaguar Pre-Paid Maintenance Plan is a great way for you to ensure your new and pre-owned Jaguar models are treated with care and last you for a very long time. With nationwide service at multiple locations throughout the US, you can rest assured your Jaguar model will be maintained no matter where you travel. And the best part? You can pay up front for this service or roll it into your vehicle financing payments on a monthly basis. When you opt for the pre-paid maintenance plan, you’ll have a variety of everyday services that are included for your vehicle’s safety and longevity. To learn more about the Jaguar Pre-Paid Maintenance Plans, you need to visit a trusted dealer. 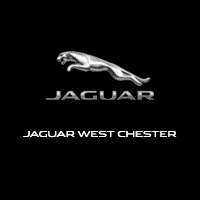 Choose Jaguar West Chester today, located at 1568 West Chester Pike in West Chester, PA to learn more about our vehicle warranty and our available plans.